For quality and stylish children's clothing, look no further than El Palacio Del Niño. 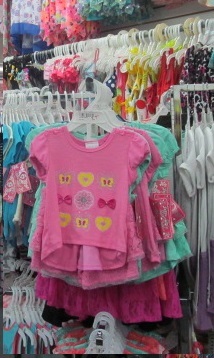 We are a major seller of children's clothing. Our friendly and dedicated team is determined to assist you when you are searching for trendy and unique clothes for children. We take pride in delivering great customer service, and we always strive to provide fashionable clothing at affordable prices. Call El Palacio Del Niño now at (305) 325-1053 for more information. Se habla español! El Palacio Del Nino is open to the public and we carry a wide range of children's clothing from established brands. For quality and fashionable children's and infant clothing, you can rely us. Rest assured that we will meet and exceed your expectations by providing you with the latest clothing designs! Call us at (305 325-1053 today for inquiries. We look forward to serving you. Copyright @ 2016 JACMO, Inc.